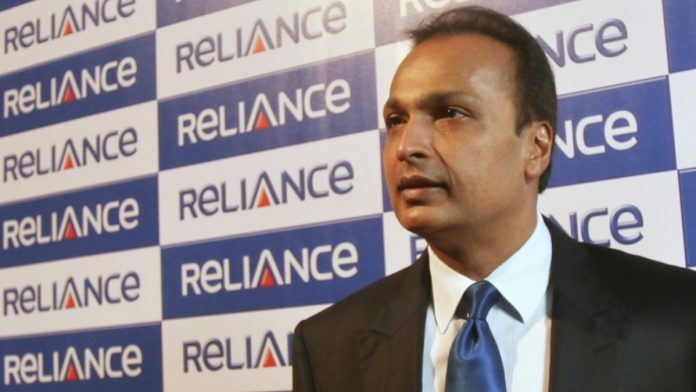 The fragile investor sentiment for the Anil Ambani group was dealt a blow after its wireless unit, Reliance Communications, said last Friday it plans to file for bankruptcy. 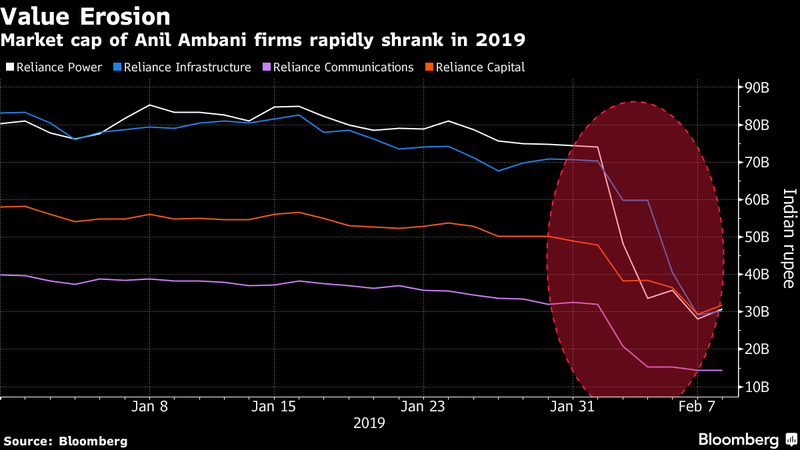 Mumbai: Lenders dumped shares they held of Anil Ambani companies as collateral after their value plummeted following a selloff that wiped 126 billion rupees ($1.8 billion) off the group’s market value this month, adding to the litany of woes plaguing the Indian billionaire. Creditors sold 5.5 billion rupees of shares in four companies — Reliance Power Ltd., Reliance Infrastructure Ltd., Reliance Communications Ltd. and Reliance Capital Ltd. — leading to a 3-to-8 percentage-point reduction in founders’ stakes in these firms, according to filings. The sale by firms including L&T Finance Ltd. and Edelweiss Group is “illegal, motivated and wholly unjustified,” the group said in a statement. Reliance Communications has seen its market value drop by more than half this week, while shares of Reliance Power and Reliance Infrastructure have crashed almost 60 per cent each. Reliance Capital has tumbled 32 per cent. Friday’s rebound shouldn’t be seen as a “positive development,” said Rajnath Yadav, an analyst at Choice Equity Broking Pvt. in Mumbai.